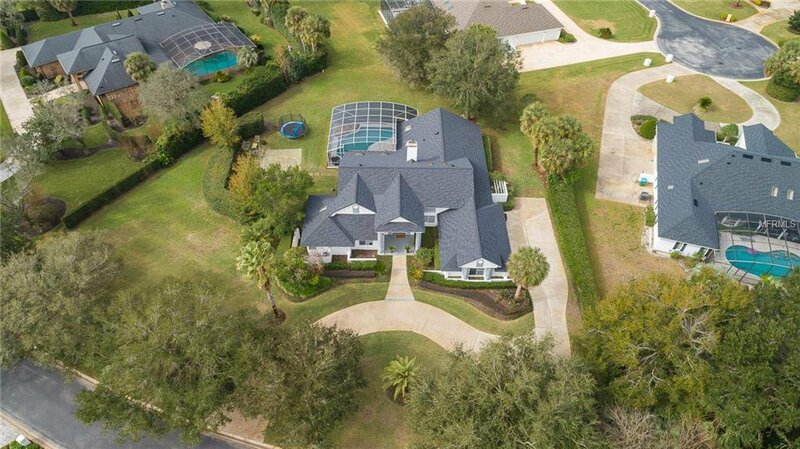 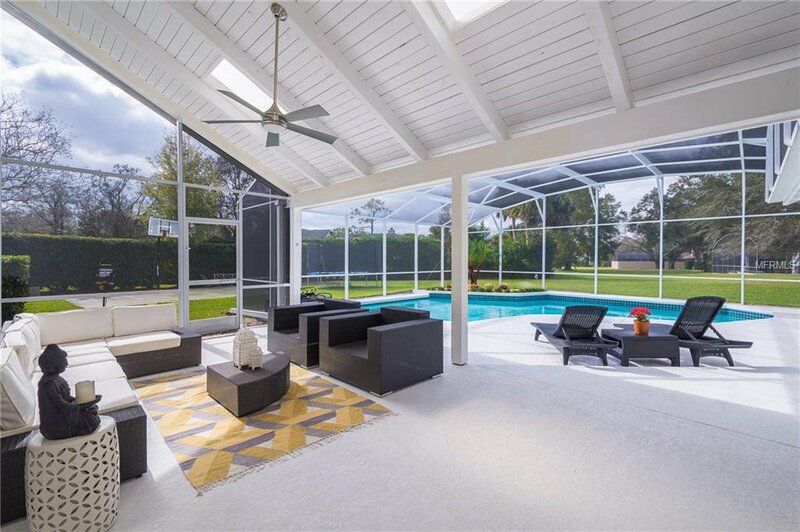 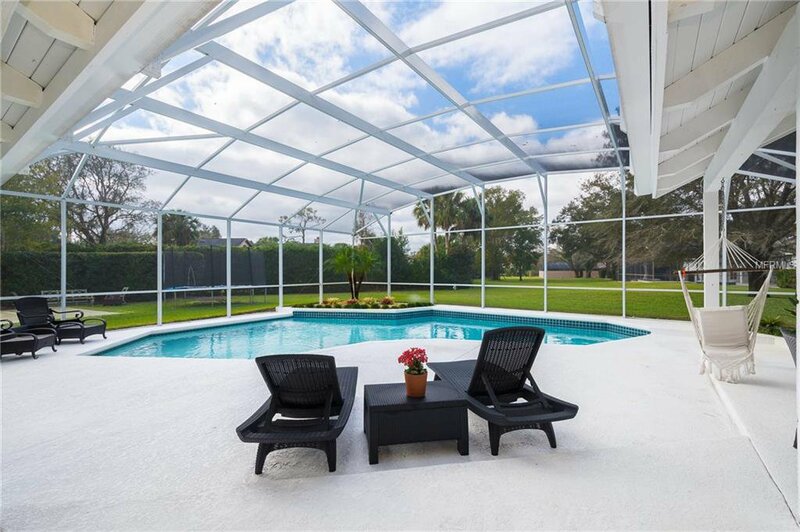 Welcome home to this elegant renovated exclusive estate home within a gated community in Tuscawilla Country Club on an oversized lot of 1 acre. 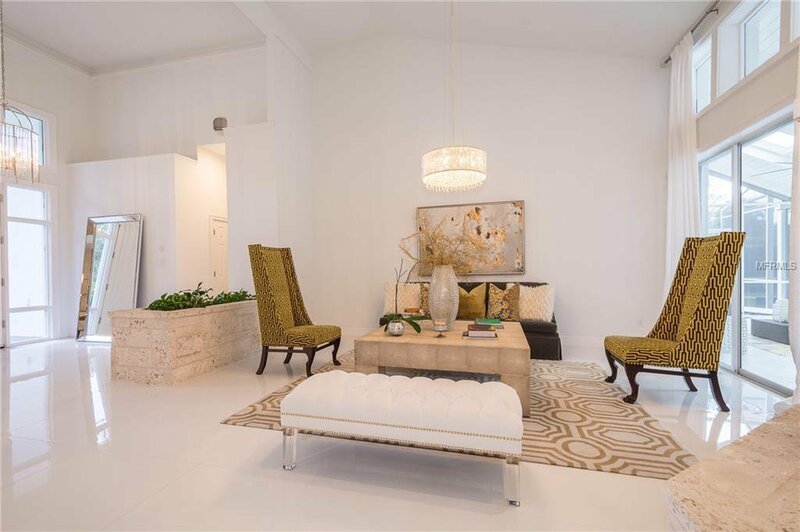 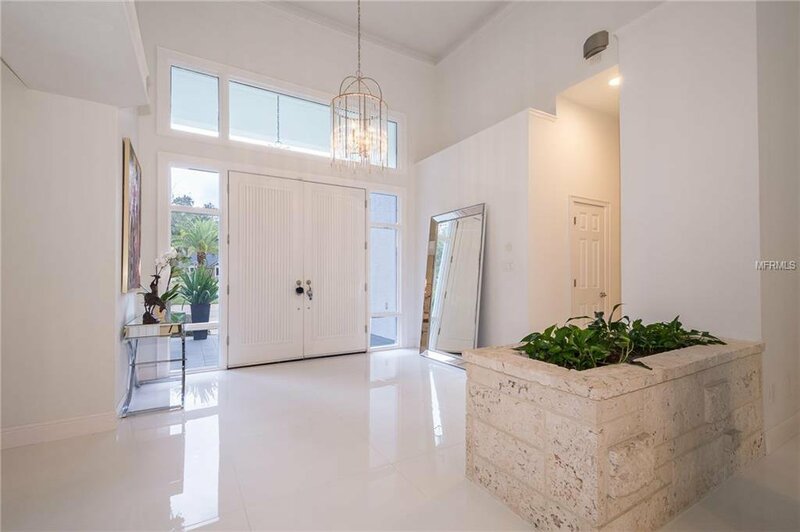 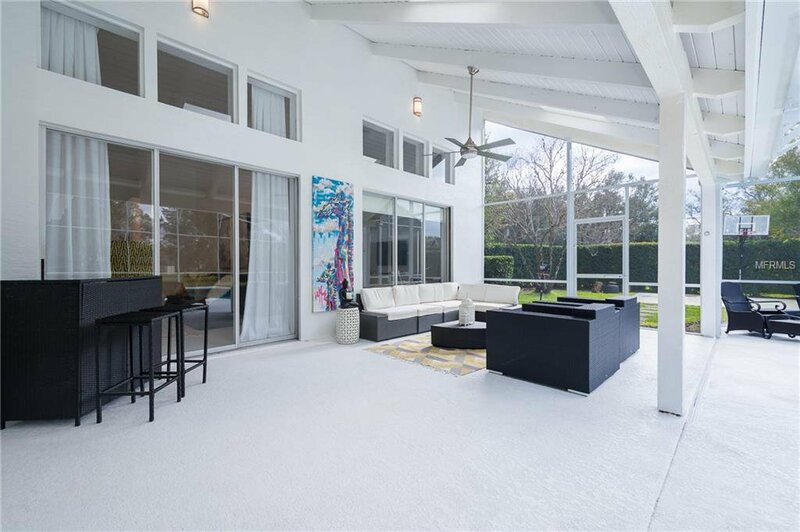 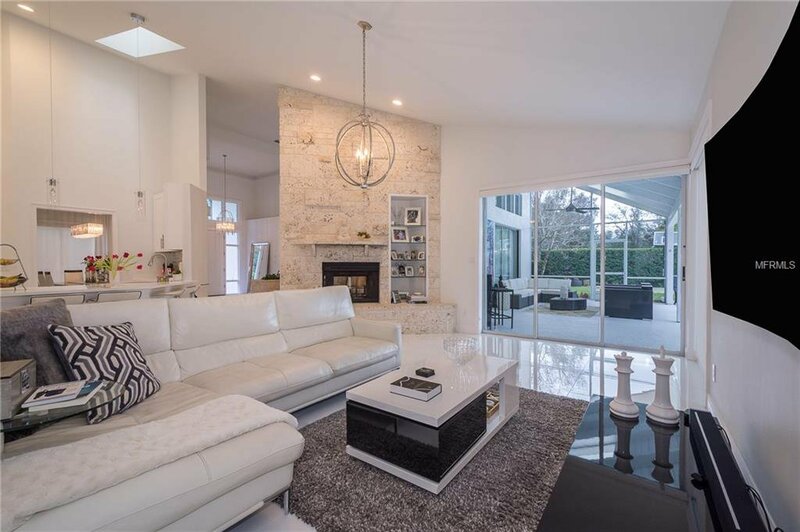 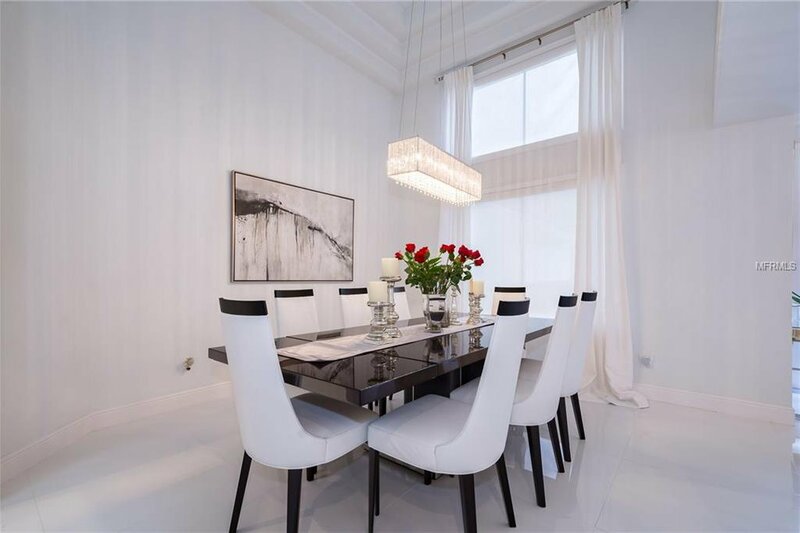 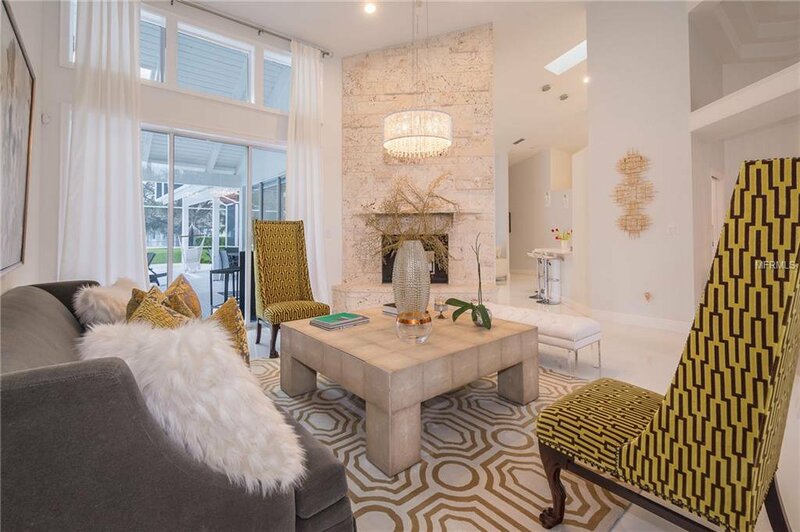 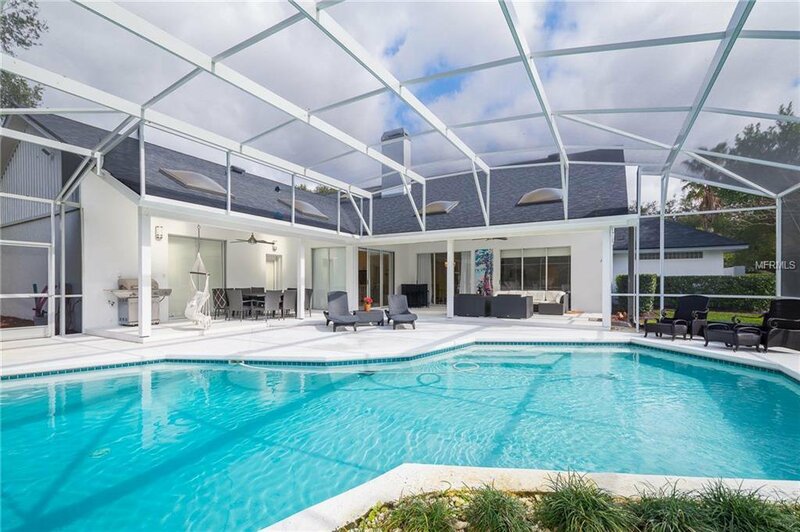 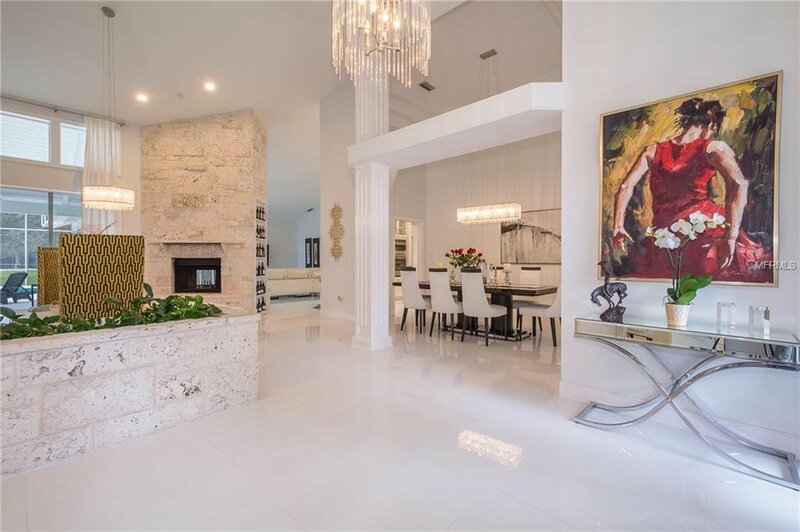 As you enter the home through the double French doors, you will see the impressive foyer, formal dining, and living rooms with columns, double-sided coral fireplace, porcelain floors, high ceilings, and access to your private pool. 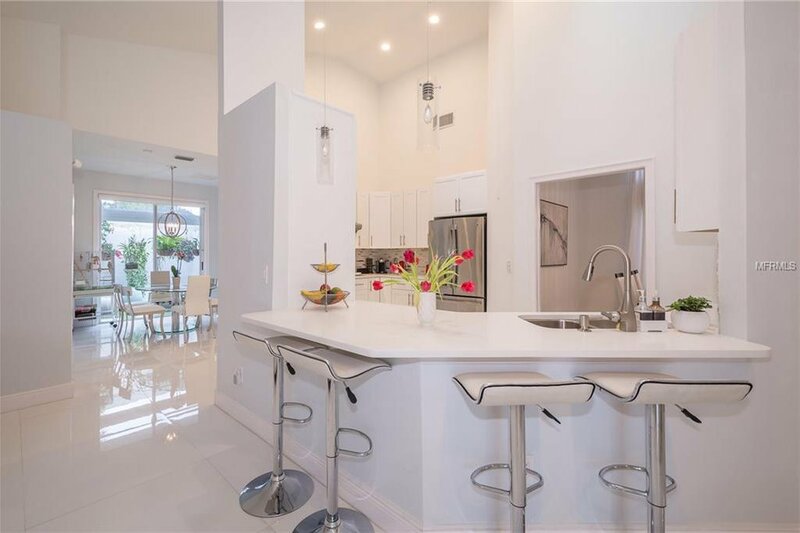 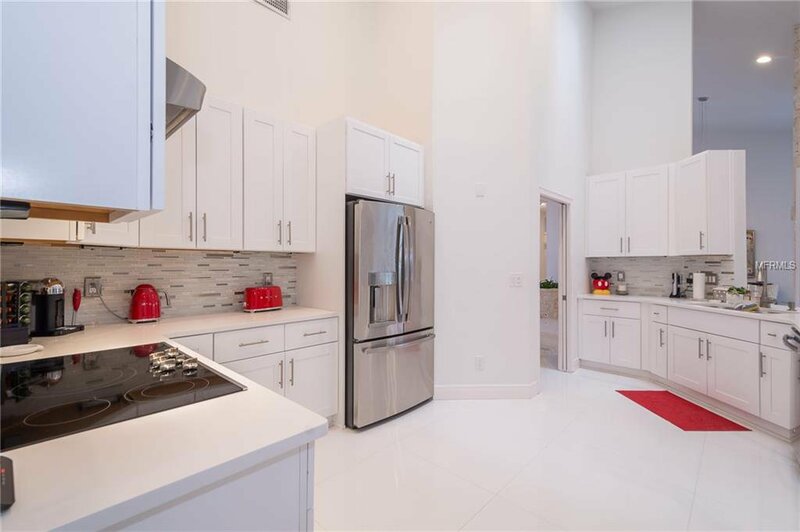 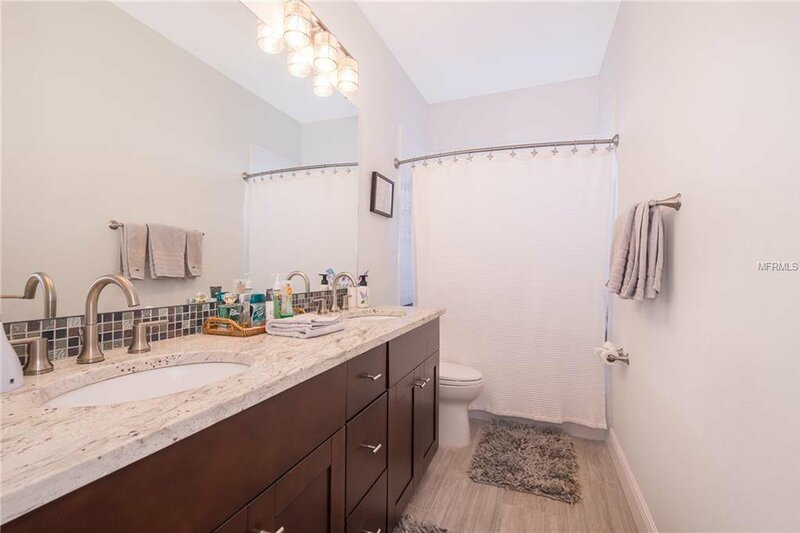 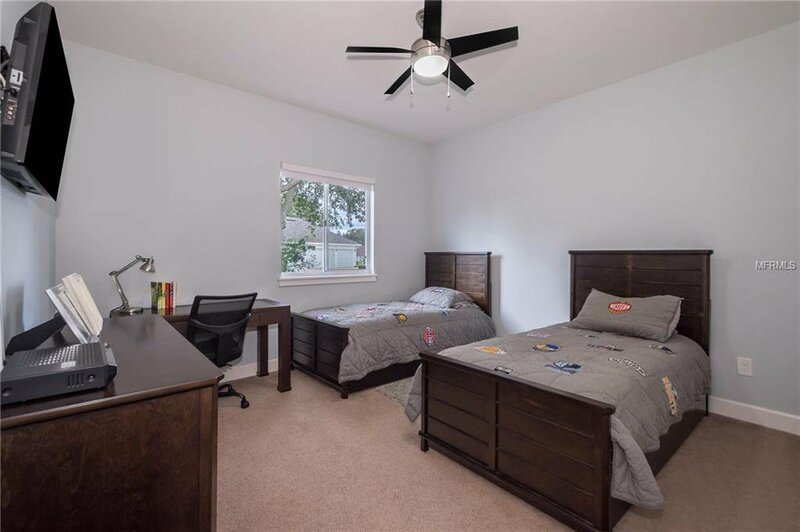 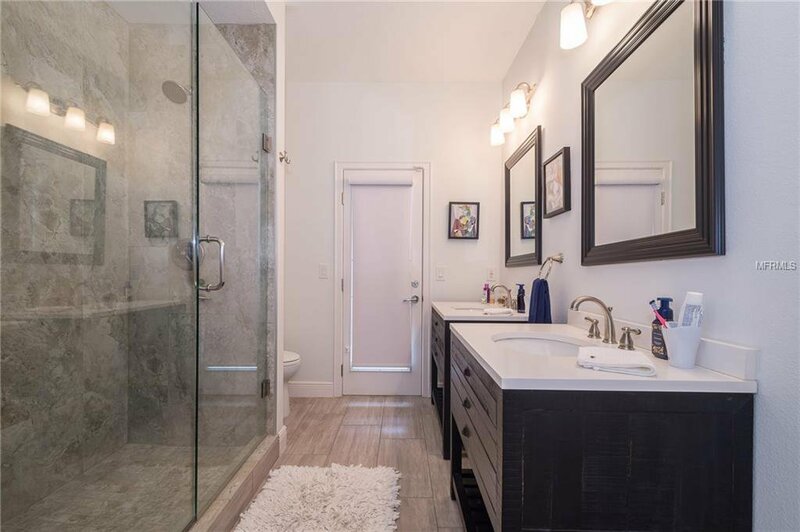 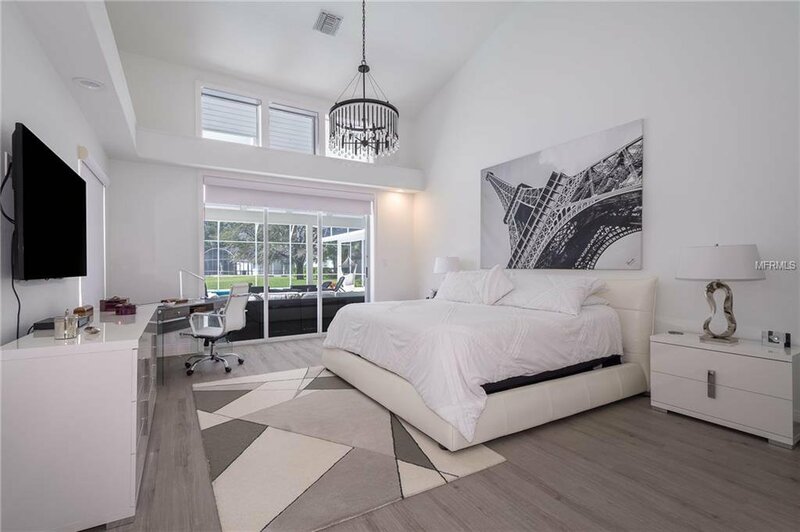 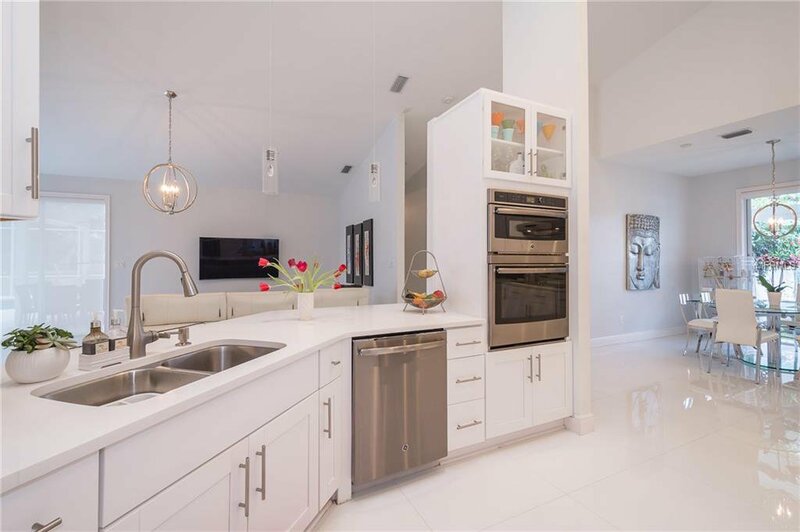 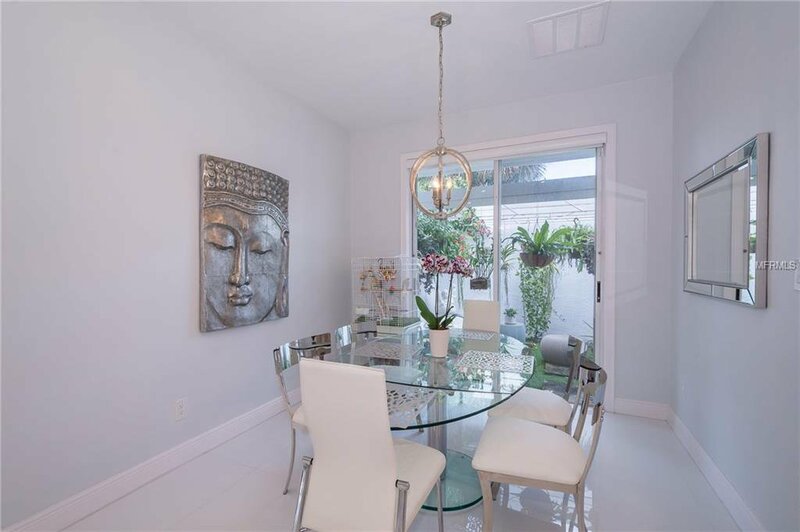 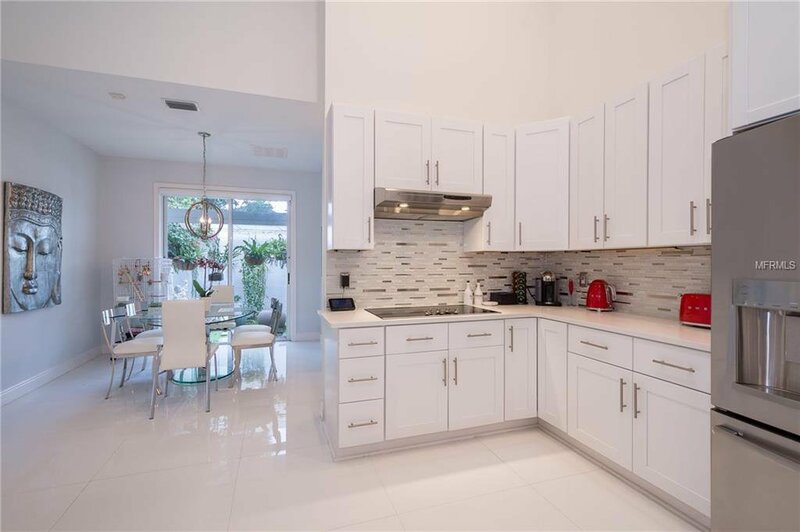 The completely renovated kitchen has premium granite countertops and is open to the family room and breakfast nook, designer lighting including under-mount, stainless steel appliances, and a counter breakfast bar. 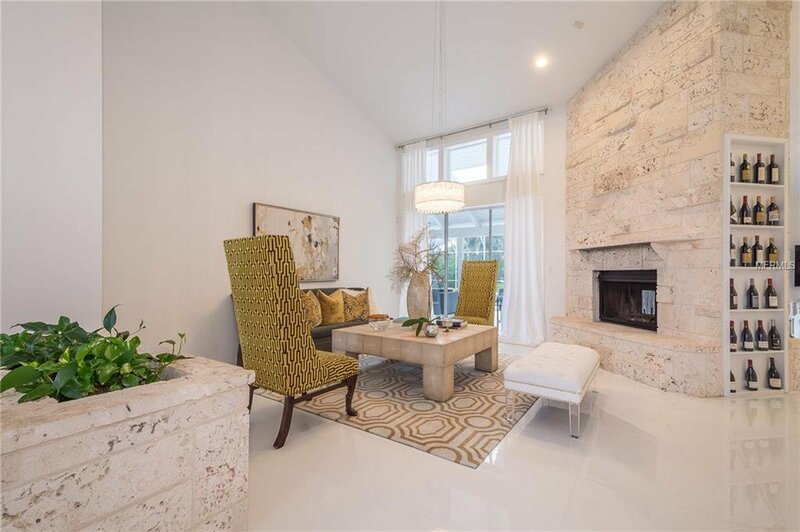 The split floor plan offers upscale designer touches throughout, with lots of attention to detail and well suited for entertainment. 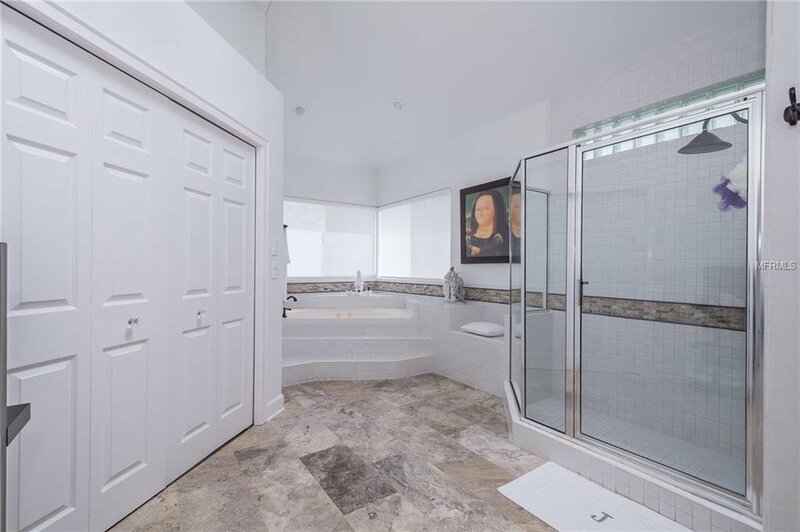 The generous Master suite overlooks the pool, and master bath has upscale Restoration Hardware cabinetry, large his/her closets, spa garden tub & separate shower. 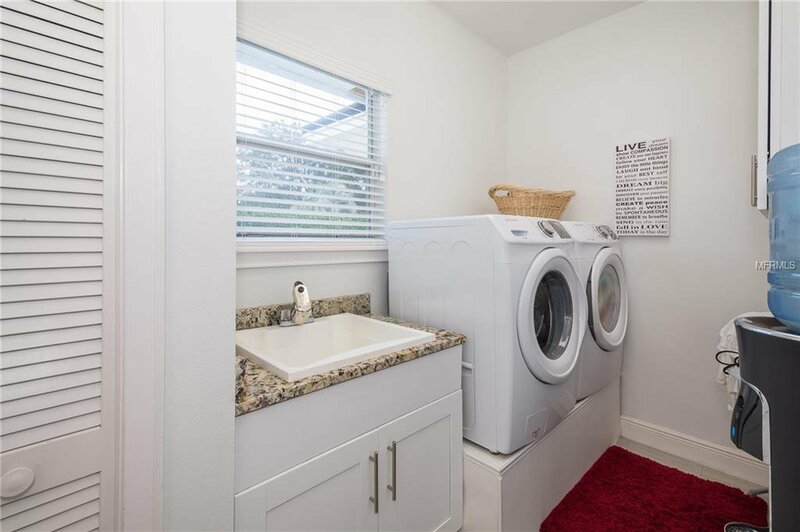 Additional features include inside utility room, circular drive, 2 car garage, roof replacement in 2018 and basketball court. 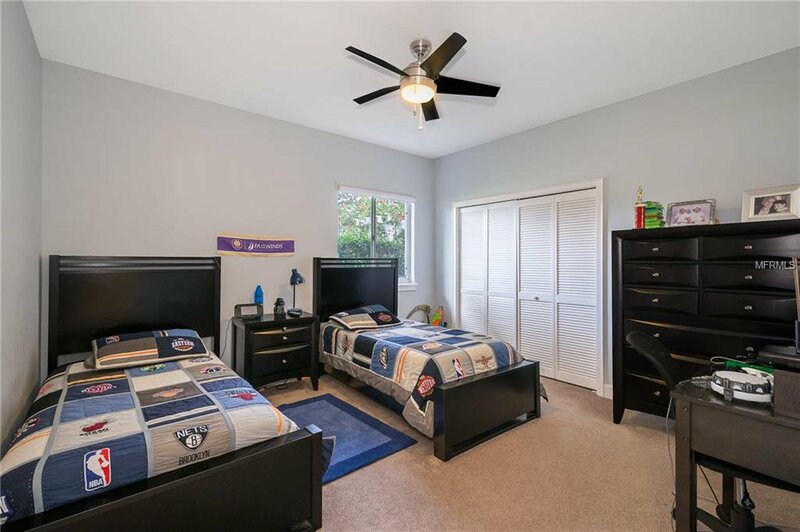 The community is both popular for its ease of access to Orlando, and neighboring shopping, but also because of the outstanding Seminole County "A" rated schools. 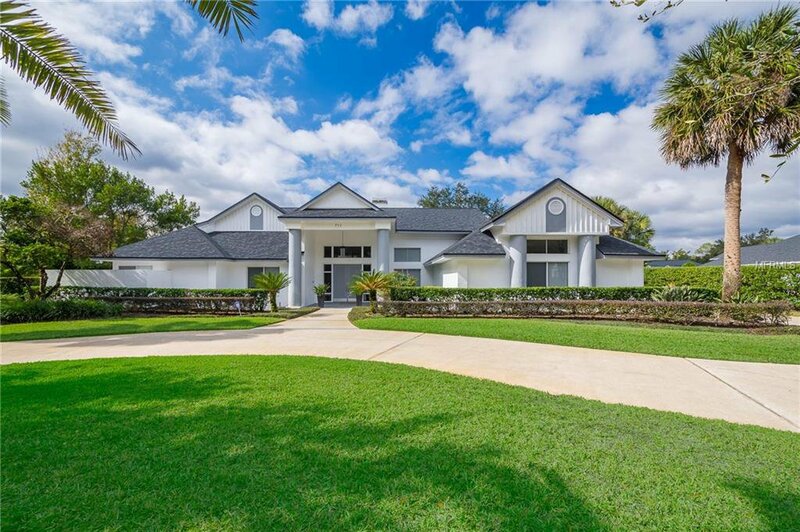 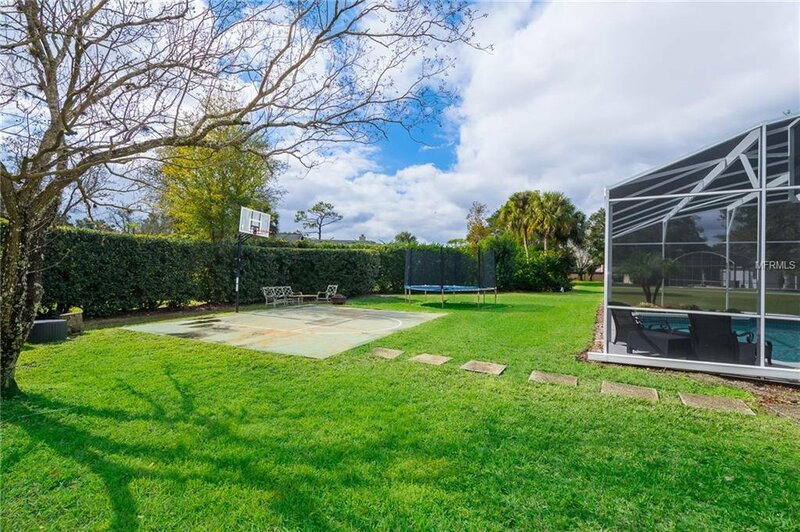 The Tuscawilla Golf Community offers beautiful parks, bike trails, tennis courts and more and is less than 30 minutes from Downtown Orlando, Orlando International Airport and Winter Park and other shopping areas. 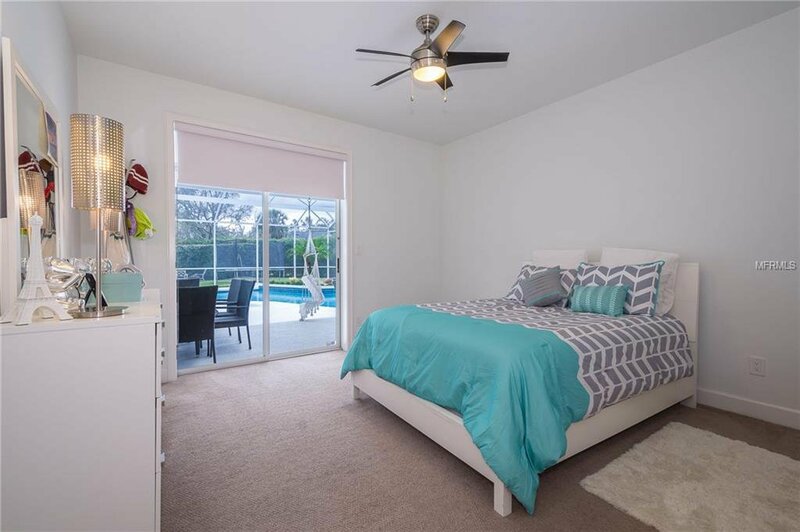 The Beaches are also just a short 55 minute drive away. 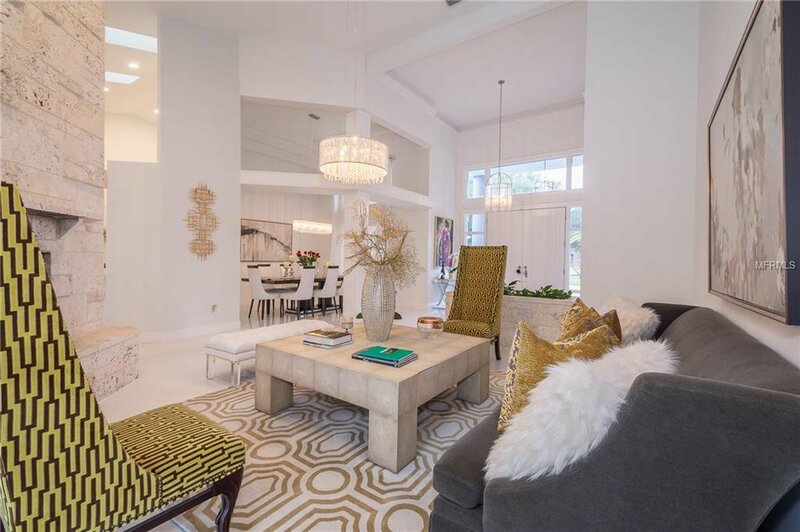 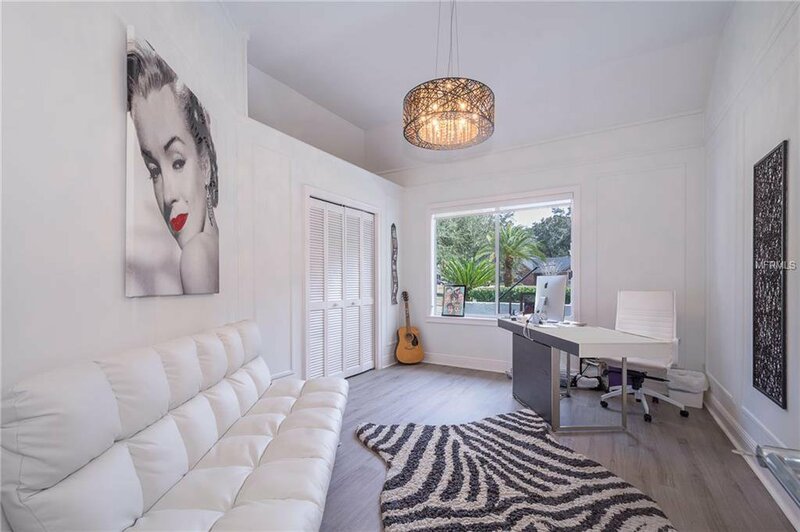 Listing courtesy of SOTERA LIVING.